Saving on your house rent remains as difficult as finding a house at the first place. How many times have you heard that you have to cut rental costs if you are looking forward to fulfilling your dream of purchasing your own house a few years down the line? Rent usually remains the most prominent item in your budget. And, if someone is telling you to reduce it then there is enough reason for the same (even you want that). The question is how exactly can you save on your rent? Today, within the scope of the post we will try to unlock relevant answers to this question. 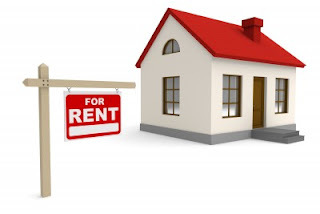 If you are looking for house for rent Coimbatore make sure you are going through this primer. How can you save money while taking a house on rent? For many, the concept saving money while living on a rented property is nothing more than a myth. Some of them, would in fact, end up thinking that paying a monthly bill for something which they do not own is nothing but an utterly futile expense. Owning your house definitely helps you build your equity but renting a place has its own advantages as well. Think about the fifteen or thirty year mortgage which you will have to pay before you can claim possession of your home. Today, however, we will not really be getting in to the debate whether it is worthwhile to own a home and pay those high interests for such a long period of time or not. We will rather be focusing on ways to save money while taking a home on rent. Yes. It is very important to hone your negotiating skills while holding discussions with your prospective landlord. If you are willing to take the property on lease for a longer period of time, your landlord might as well want to reduce the rent significantly for you. It would be great if you are looking up the internet to find out about the prevalent house rent in the region where you want to relocate. Compare the rents spelt out by different property owners in order to zero in on an affordable choice. The rent is charged on per square foot of the apartment. Those looking for a house on rent are very commonly suggested to take a small apartment on rent so that they can save up substantially for their own house. However, most of the tenants are not really in favor of the idea. They are just not willing to make that sacrifice. You might as well be more inclined to live in a larger apartment at present, but will not be able save up substantially for your future purchase. If you are not considering shifting with your family then consider living with roommates. This is definitely a foolproof way of cutting down on your rent. There are several websites dedicated to helping users find roomies. Take advantage of these sites. Letting a friend or a trusted roommate shift with you will help you reduce your monthly rent in a major way. Share your food with your roommate/s as well. We are all aware of the benefits of buying in bulk. Split the bills. Instead of cooking separately for dinner and lunch, cook in bulk in order to save on the gas or electricity bills. Do not invest in new furniture in order to deck up your apartment. Carry furniture from your old home. Consider selling off a few of the furniture sets if you are shifting in to a smaller apartment.